Now you’ve realized bitcoin is the money of the future, the next step is to get some bitcoins. But how? This guide will tell you what you need to know. You can buy bitcoins from either exchanges, or directly from other people selling them. 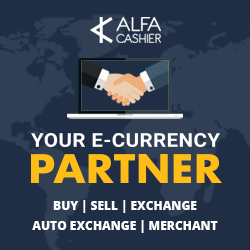 You can pay for them in a variety of ways, ranging from hard cash to credit/debit cards to wire transfers, or even with other cryptocurrencies, depending on who you are buying them from and where you live. Surprisingly, it’s still not easy to buy bitcoins with your credit card or PayPal. This is because such transactions can easily be reversed with a phone call to the card company (ie: ‘chargebacks’, one of the problems bitcoin is here to solve). Since it’s hard to prove any goods changed hands in a transfer of bitcoins, exchanges avoid this payment method and so do most private sellers. However, the options have recently grown for consumers in some countries. In the US, Coinbase, Circle, Trucoin and coin.mx all now offer purchases with cards. Bittylicious and CoinCorner also offer this service in the UK, accepting 3D Secure-enabled cards on the Visa and MasterCard networks. For small amounts of bitcoin, you can use a card to buy $20-worth at Tinkercoin. You will need a place to store your new bitcoins. In the bitcoin world they’re called ‘wallets’ but you could also think of them as a bank account. The two main options are: (1) a software wallet stored on the hard drive of your computer, or (2) an online, web-based service. Both have their vulnerabilities: if you store it all locally on your computer make sure you back up your wallet regularly in case the drive becomes corrupted; and online web wallets employ varying degrees of security against hackers, from quite good (multi-factor authentication) to quite poor (ID and password). Blockchain is arguably the most popular online wallet. It does not exchange fiat currency for bitcoin, but does have mobile solutions available for Android, and more recently, iOS. Inconveniently for iPhone/iPad users, iOS bitcoin wallets were banned by Apple at the end of last year. This decision has now been reversed and wallet apps are starting to reappear in numbers on the App Store. The range of options here seems to grow by the week, with new businesses coming online to cater to new markets. Some are full-blown exchanges for trades between paper fiat currencies and multiple other digital currencies, while others are simpler wallet services with a more limited range of trading options. Many will store amounts of digital and/or fiat currency for you, much like a regular bank account. Exchanges/wallets are the best option if you want to engage in regular trading and speculation, don’t need total anonymity, and don’t mind lengthy bureaucratic setup procedures that usually involve proof of identity and supplying detailed contact information. This is the law in most countries and no regulated exchange can get around it, as any company interfacing with the current financial system must meet ‘know your customer’ (KYC) and anti-money laundering (AML) requirements. The best exchange option also depends where you’re located. For more information, you can check out this list of major bitcoin exchanges/wallets around the world, and the payment options they allow. At this time, the largest full trading exchanges by volume are Bitfinex (Hong Kong), Bitstamp (US), BTC-e (unknown), Kraken (US), Huobi (China), OKCoin (China) and BTC China. CoinBase is a popular wallet service that will also trade your fiat currency for bitcoins. The company has web and mobile (Android) apps, as well as an unofficial but approved iOS wallet. Originally a US-only service, Coinbase has recently opened up to a large number of European countries. Circle is a recent entrant to the bitcoin space, offering users worldwide the chance to store, send, receive and exchange bitcoins. Currently only US citizens are able to link bank accounts to deposit funds, but credit and debit cards are also an option. Apps for iOS and Android are said to be imminent. While people in most countries can transfer money to overseas accounts, fees are much higher and you may face more long delays changing your bitcoins back into fiat currency (should you still wish to do that). If you are required to link a bank account to use the exchange, it may only admit banks from that country. Despite the proof of identity requirements, remember exchanges and wallets are not regulated as banks are. There is no insurance for your account if the exchange goes out of business or is robbed by hackers, such as may have been the case with Mt. Gox. Some existing banks see digital currency as a threat to their business model and have been known to discriminate against anything related to bitcoin. Their responses have ranged from refusing transfers to specific exchanges, to unilaterally closing accounts of anyone mentioning bitcoin, without explanation. Check the list below first to see if your bank is one of them and, for your protection, open an account with a bank known to be more bitcoin-friendly. If you live in a city, prefer anonymity or don’t want bank hassles, the easiest option to acquire bitcoin is to make a face-to-face trade with a local seller. LocalBitcoins is the primary site where such transactions are arranged and prices negotiated. The site also provides an escrow service as an added layer of protection for both parties. There are security considerations for both buyers and sellers, especially if the trade is a sizeable one. Always meet in a busy public place, don’t meet in private homes, and take all the precautions you’d usually taken when walking around with large amounts of cash. These meetups flourished in the latter half of 2013. Some big cities even have open-air events called ‘Satoshi Squares‘ where you can just walk up, buy some bitcoin, and walk away. Given their group settings these latter two options are usually more secure, though obviously less anonymous. If you don’t like the idea of having to buy and safely store a large quantity of bitcoins, you can turn to an investment trust, such as the Bitcoin Investment Trust (BIT). This trust invests exclusively in bitcoins and uses a state-of-the-art protocol to store them safely on behalf of its shareholders. So far, the fund has been exclusively for serious (i.e. : very rich) investors, but is to open to all, hopefully by the fourth quarter of 2014. The Bitcoin Superfund is a new option is soon to launch in the UK. Though a relatively new concept, bitcoin ATMs are growing in number. More are on the way, from a number of different vendors including BitAccess, CoinOutlet, Genesis Coin,Lamassu and Robocoin. Like a face-to-face exchange but with a machine, you insert your cash and either scan your mobile wallet QR code or receive a paper receipt with the codes necessary to load the bitcoins onto your wallet. Exchange rates vary, and may be anything from 3% to 8% on top of a standard exchange price. So, buying bitcoins is not always as easy as newcomers expect. The good news is the number of options is increasing all the time, and there’s plenty of incentive for creative entrepreneurs to invent more convenient ones. Some may not even necessarily require a wallet or internet access. Other ideas have included bitcoin gift cards (coming soon), physical bitcoin ‘coins’ with a wallet value pre-loaded, and stored-value cards.